The new addition to the Aluminium Kings race programme is the Kings Degree Super Sound. This graduated front / hind degree shoe is perfectly designed so that it elevates the heel but the wide foot surface of the shoe reduces the problem of crushed heels. 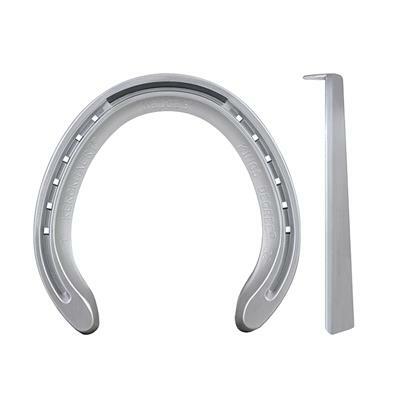 The toe is bevelled on the ground surface which helps breakover, this is very important when shoeing horses with low heels.